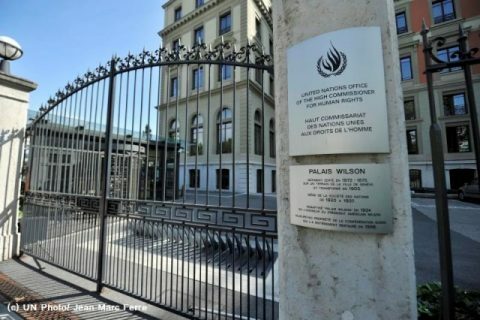 The UN Committee on the Elimination of Racial Discrimination (CERD) has recently urged the Government of Japan to take further actions to address the issues of violence against foreign and minority women, “comfort women” and the situation of Burakumin. In the letter to the Government of Japan , the CERD expressed the lack of satisfaction and pointed out shortcomings of the Government’s measures. During its 91st session, the CERD considered the follow-up report of the Government of Japan . The Government was requested to take immediate measures to implement the three recommendations on the abovementioned issues within one year of the adoption of the 2014 concluding observations (CERD/C/JPN/CO/7-9) . Japan NGO Network for the Elimination of Racial Discrimination (ERD Net) has also submitted the alternative follow-up report to the CERD in 2015. Read the full text of the letter below or download here . I wish to inform you that the Committee on the Elimination of Racial Discrimination, in the course of its 91st session, considered the follow-up report submitted by the Government of Japan, pursuant to Rule 65 (1) of the Rules of Procedure of the Committee. The Committee welcomes the submission of the report, in response to its request to receive information within one year on the implementation of the recommendations contained in paragraphs 17, 18 and 22 of the Concluding Observations (CERD/C/JPN/CO/7-9), adopted following the consideration of the State party’s combined 7th to 9th periodic reports, at its 85th session in August/September 2014. The Committee appreciates the opportunity provided to continue its dialogue with the State party, and would like to draw the State party’s attention to the observations mentioned below. The Committee requests that comments and responses on actions taken by the State party on these issues be included in its 10th and 11th periodic reports to be submitted in a single document by 14 January 2017. Paragraph 17 of the Concluding Observations: The Committee thanks the State party for the information provided on measures to address the issue of violence against women. While appreciating steps taken to disseminate information in foreign languages to migrant women, the Committee regrets the lack of targeted measures to prevent and deter domestic violence against migrant, minority and indigenous women. The Committee therefore requests the State party to provide in its next periodic report detailed information on such measures and their impact also on increasing reporting rates by these women to the police. The Committee notes the State party’s explanation that foreign spouses can apply for an extension of their stay in the State party upon divorce or repudiation provided that they have a justifiable reason. It, however, remains concerned that in reality foreign spouses victims of domestic violence remain reluctant to report to the police due to fear of residence permit revocation. The Committee therefore requires the State Party to provide pertinent information in its next periodic report on measures to address this issue and inform on any plans to revise the legislation concerning residence status, as previously recommended by the Committee. Paragraph 18 of the Concluding Observations: The Committee thanks the State party for the additional information provided on measures taken to implement paragraph 18 of its Concluding Observations. The Committee notes the steps taken concerning the issue of ‘comfort women’. The Committee is, however, concerned at developments that run counter to those efforts. For example, it is reported that all complaints brought by victims to Japanese national courts have been dismissed; and that reference to the issue of ‘comfort women’ has been deleted from some school textbooks. The Committee therefore reiterates its recommendation contained in para 18, and urges the State party to take all measures necessary to comply with, and report of all such steps taken in its next periodic report. Paragraph 22 of the Concluding Observations: The Committee thanks the State party for the information provided on measures taken following the termination of Dowa Special Measures. It however regrets that the State party has not revisited its position regarding the definition of Burakumin nor has it carried out consultations with the concerned communities, as previously recommended by the Committee. The Committee also regrets the lack of information on improvement in the socioeconomic situation of the Burakumin and on the impact of any measures taken that may contribute to that. The Committee therefore requests the State party to provide detailed information in its next periodic report on measures taken to eliminate discrimination against the Burakumin. Finally, while taking note of the amended Family Register Act, the Committee would appreciate receiving information on measures taken to investigate incidents relating to illegal abuses of family registration, and the results of such investigations. Rest assured, Excellency, that the Committee looks forward to continuing its constructive dialogue with the Government of Japan, with a view to providing it with assistance in its efforts to ensure the effective implementation of the Convention.